"Fairfield," the Chandler Plantation at Guinea Station, before the removal of the big house (left), early 1900s. 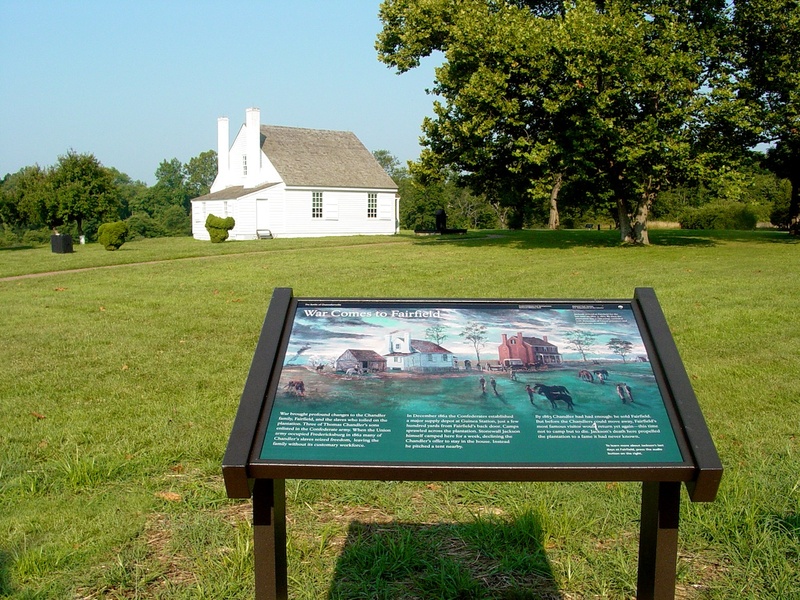 The farm office where Jackson died is at right, and survives. The great risks that attended secession did not become obvious to many Southerners until the experiment failed, until the South was vanquished. In diaries and letters written during the months following Appomattox, the people in and around Fredericksburg struggled to reconcile defeat with the immense losses the community, state, and South had suffered. In May 1865, Lizzie Alsop of Princess Anne Street wailed,”Each day increases the weight upon our hearts; & we feel more accutely the loss we have sustained; our country, our cause, our all.” A other great example can be found in this letter from Hannah Rawlings of Spotsylvania County. As witness to more Southern sacrifice than any other place in the nation, the Fredericksburg region symbolized the cost of war acutely. A few residents seem to have been much aware of the immense investment the Confederacy had made here, and sought to justify that sacrifice with honor. Here is a letter from Guinea Station, written in 1866 (it appeared in the Fredericksburg Ledger on June 29). The letters speaks to the nexus between wartime and postwar suffering and the need to honor the sacrifices embodied at the failed attempt to create the Confederate States of America. The farm office at Jackson Shrine today. Guiney’s Depot, Caroline County, Va.
DEAR SIR:–I suppose you can, in some degree, appreciate the condition of the people at present; we are without money and nothing to see to get it; there is a complete failure in the wheat crops in my neighborhood. I have intended for some time to give you some account of the way in which the anniversary of the death of our much lamented Jackson was spent in the neighborhood of Guiney’s depot, by the patriotic young ladies and gentlemen in that vicinity. They turned out on that day and made up and decorated with flowers, over one hundred greaves of the Confederate soldiers, mostly from the Southern States. I think such things should be published to let the friends of those who fell in our country’s cause know that they are not forgotten by the people of Virginia; that their husbands and sons, though filling soldier’s graves, are alive in the hearts of those who were engaged in a common cause. Much credit is due, especially to the ladies, for this manifestation of their respect to the soldiers; much has been done, and I hope much more will be done in honor of the soldiers who lost their lives in behalf of our beloved, though unfortunate country. With my best wishes for your prosperity, I subscribe myself yours with respect. The following appears in a letter from Robert E. Lee to James Seddon, January 10, 1863, urging a concerted effort to increase the size of Confederate armies in the face of the intensifying Union war effort. * In it, Lee offer commentary on the recently issued Emancipation Proclamation, whose consequences he characterizes darkly and vividly. Indeed, uses the Proclamation as an argument for redoubled recruiting and a renewed Confederate effort. In view of the vast increase of the forces of the enemy, of the savage and brutal policy he has proclaimed, which leaves us no alternative but success or degradation worse than death, if we would save the honor of our families from pollution, our social system from destruction, let every effort be made, every means be employed, to fill and maintain the ranks of our armies, until God, in his mercy, shall bless us with the establishment of our independence. 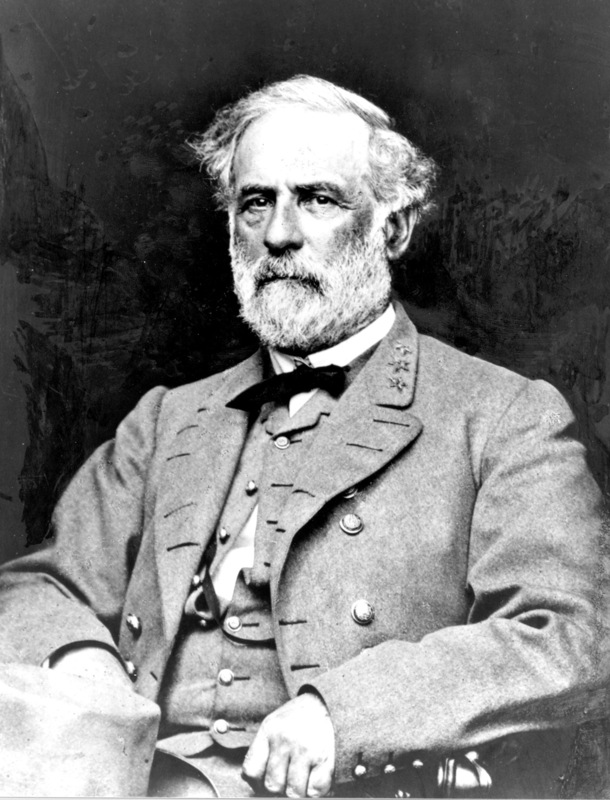 I have the honor to be, very respectfully, your obedient servant, R. E. Lee, General. * O.R. Vol. 21, page 1086. The editors of the ORs incorrectly presumed that this passage refered to a series of orders issued in western Virginia the previous November by Union General Robert H. Milroy, commanding local citizens to pay for the damage done by Confederate raiders. Clearly, however, the narrow scope of Milroy’s orders (which related solely to the district in which he operated, and which were later repudiated by the federal government) does not comport with the broad commentary offered here by Lee. Moreover, the Official Records clearly show that on January 10, Lee was still in the process of investigating the nature of Milroy’s orders to confirm they had indeed been issued. Join us this Saturday, when we will present our second Years of Anguish II: A Nation Goes to War, is set for Saturday November 12 at Dodd Auditorium on the University of Mary Washington Campus. The program will begin at 1 and conclude at 5, with a book signing to follow. The program is free. Following on our wildly successful inaugural entry of Years of Anguish, November’s program will again look at the war through a national, state, and local lens. Theprogram will feature Dr. Gary Gallagher of the University of Virginia and Dr. Peter Carmichael of Gettysburg College. Dr. Gallagher will present, “Devoted to Union,” a look at how many Americans opted to embrace war rather than see the work of the founding fathers destroyed by secession. Dr. Carmichael will look at Virginias’ descent into war–specifically how the generation of 1861 understood the war and why they fought. 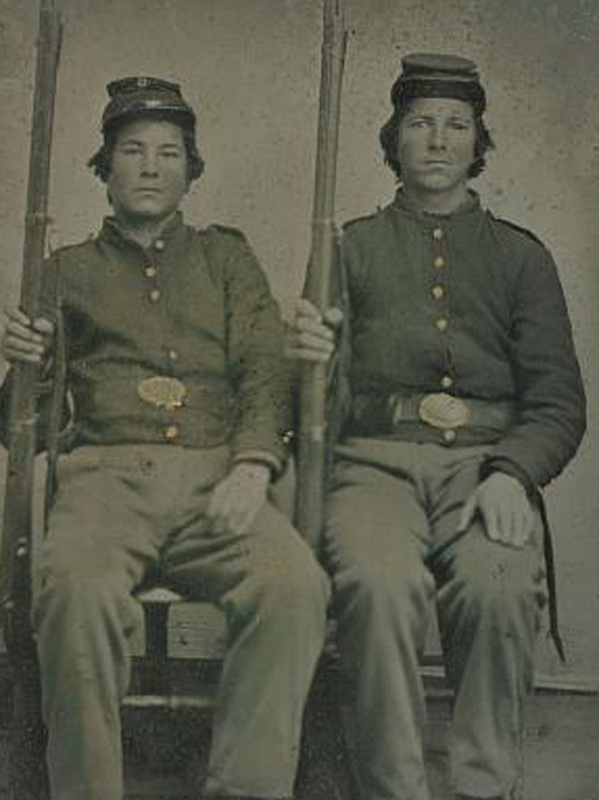 John Hennessy will sandwich between the two to look at how the Fredericksburg region reacted to and mobilized for war. As before, Dr. Jeff McClurken of the University of Mary Washington will moderate. This program is sponsored by the Fredericksburg Area Museum, the University of Mary Washington, and the National Park Service.